The Indiana State Library in Indianapolis will present a program, "Mobilizing The Homefront: Hoosiers and World War II," on Tuesday, November 10 from noon to 1 pm in their Indiana Authors Room. Reference & Government Services Librarian Marcia Caudell will discuss how Hoosiers volunteered their time and money to assist in the war effort. --More Than The Census: Our Families Did Exist Between Those 10-Year Intervals! The Indiana State Library in Indianapolis will present a program, "Using Maps In Your Research," on Tuesday, November 17 from 10 to 11 am in their Indiana Authors Room. Indiana Collection Librarian Monique Howell will discuss the various kinds of maps available, including Sanborn, topographic and transportation maps. The Hamilton East Public Library in Noblesville will host a class, "Irish Footprints in America," on Saturday, November 14 from 9:30 am to 12:30 pm in their genealogy classroom. In this first of a 2-part series, presenters Pat Adams and Shannon Kennedy will talk about immigration, Irish life in America, and how to search records to find your Irish ancestors. Registration is required--to register, visit the library's website, or contact the library's Indiana Room--phone (317) 770-3206. The Indiana Genealogical Society has updated the database, Individuals Associated with Indiana’s African-American Settlements (1817-1930) in the African-American Records section of Members-Only. This database is being compiled by Dawne Slater-Putt, CG and is part of a larger effort to study Indiana’s African-American settlements from their earliest days through about 1930. This database is free and is being shared with the Indiana Genealogical Society and the Allen County Public Library's Genealogy Center. There are now almost 5,000 entries in the database. The Indiana State Library in Indianapolis will present a program, "Naturalization Process and Records," on Thursday, November 5 from 5:30 to 6:30 pm in their History Reference Room. Genealogy Collection Librarian Charles Hill will discuss the naturalization process, search strategies and how to locate records, including helpful websites. The Indiana African American Genealogy Group will meet on Saturday, November 21 from noon to 3 pm at the Indiana State Library in Indianapolis. Robert Mullins will present a program from noon to 1:30 pm on Ransom Place Studies, and from 1:40 to 3 pm older residents of Ransom Place will speak. The public is welcome to attend. For more information, please contact indplsaagenegroup@yahoo.com. The Northwest Indiana Genealogical Society will meet on Saturday, November 21 at 10 am at the Porter County Public Library in Valparaiso. Guests are asked to bring a small family heirloom to show and talk about. If the item is too big to bring, just bring a picture of the item to share. The meeting is open to the public. The society represents the interests of genealogists in Lake County and Porter County. The Tippecanoe County Area Genealogical Society (TIPCOA) has published Saint Boniface Cemetery Index 1898 to 2008. Saint Boniface Cemetery is located in Lafayette. The index includes the section and lot numbers and was compiled using original burial books and burial permits which listed transfers from other cemeteries. The index is available for $35 (the price includes shipping & handling and sales tax). Please make checks payable to TIPCOA and mail to: TIPCOA Publications, 3912 Monitor Mill Dr., Lafayette IN 47905. The Madison-Jefferson County Public Library has added genealogical and historical records to its website. The records are being put online as part of the History Rescue Project, which is funded by a grant from the Community Foundation of Madison and Jefferson County. Records from cemeteries, funeral homes, land records, marriage records, mortality schedules and newspapers are among those that have been put online already. The Tippecanoe County Area Genealogical Society (TIPCOA) has published Tippecanoe County, Indiana Index to Deed Book A. This is an index of the original Deed Book A. It is a list of the grantees (buyers) and grantors (sellers) who transferred land in Tippecanoe County between October 14, 1829 and April 10, 1830. The index is available for $15 (the price includes shipping & handling and sales tax). Please make checks payable to TIPCOA and mail to: TIPCOA Publications, 3912 Monitor Mill Dr., Lafayette IN 47905. The Westfield Genealogy Group will meet on Saturday, November 7 at 10 am at the Westfield Public Library in Hamilton County. The public is welcome. The group meets the first Saturday of the month at 10 am at the Westfield library. The Clay County Genealogical Society has published A History of Clay County, Indiana: Closing of The First Century's History of The County and the Growth of Its People by William Travis, a 2-volume history which was first printed in 1909. This history has been transcribed and put on 2 CDs in Rich Text Format (RTF) with an index. The CD set can be purchased for $50 plus $5 shipping & handling. Indiana residents must add $3 for sales tax. Please make checks payable to Clay County Genealogical Society and mail to: Clay County Genealogical Society, P.O. Box 56, Center Point IN 47840-0056. I am having a hard time finding my great grandfather David Solomon Rodecap's obituary. I know he was born in Middletown, Indiana approximately 1865, and he died in August of 1927 or 28. I believe he died in Muncie, Indiana. I am also looking for any information on Charles McLaughlin, or his wife Rebecca. I believe they lived in or around Henry county Indiana. I believe Charles died in 1878 in Madison county, Indiana. I am looking for an obituary on either of them. They are my great grandfather's in-laws. John G. Thompson, born abt. 1782 in Virginia. Died, 1857 Monroe County, Indiana. Wife, Elizabeth Story. Died,1861 in Monroe County, Indiana. Children: Amelia, Catherine, Gilmore, John, Mary, Leonidas, Margaret, Silas & Clifton Thompson. Silas Thompson served in Co. E, 35th Indiana Infantry from 1861 to 1865. I am looking for any information on the parents John G. Thompson and Elizabeth Story. Particularly where exactly they were born and who were their parents. Thanks very much for any help. The Hamilton East Public Library in Noblesville will hold a workshop on Wednesday, November 18 from 9:30 am to noon in their computer training room. This hands-on class will demonstrate how to use the Ancestry Library Edition genealogy database. Participants should bring information about their ancestors, as there will be time at the end of the workshop to work on their own research. The Henry County Genealogical Society has now disbanded. If anyone has questions about Henry County research, they can contact Lola Snyder--lljsnyder@verizon.net. Looking for anything on my great grandfather. Willing to hire a researcher if need be. Jno. H. Medaris, born 1870, Indiana. He was married to Clara Pierce and living in Des Moines, Polk County, Iowa with a young daughter, Marie Ione Medaris, b. July, 1894. He was dead by 1896 or 1897. Looking for birth certificate or parents names etc. No idea what county or Town. Also have no marriage certificate or death certificate. His wife re-married in 1897 and is listed as Clara Medaris, 'widow' on the marriage certificate. Is his name 'John' or 'Jonathan', and what does 'H' stand for? Anything would be of help, especially tieing him in to some of the many Medaris family links in the State of Indiana. Might it be Owen County? 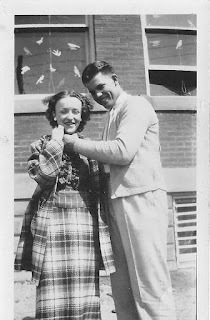 I have this photo that was taken May 30, 1937 in Albany, Delaware County, Indiana of Walter Manford Songer and Martha Newcombe. They appeared to be a couple in love. Walter died at the age of 19. He was a basketball star and played in many areas around Albany, but I don’t think he lived there. Martha would be around 85 years old. I would like to give this picture to her and talk about some old times with her. I would appreciate anyone's help in trying to locate Martha Newcombe. --Directory of Businesses in Elkhart County, Indiana (1868)--a listing of business owners as included in a railroad and shipping directory. This is a premium database, accessible only to IGS members. It is part of the 2 for 92 Project, where IGS will develop a minimum of two genealogical databases for each of the 92 counties in Indiana and post them to the Members Only area. According to this article in today's Indianapolis Star, Governor Mitch Daniels is considering signing an executive order to merge several state agencies--including the Indiana State Library and Indiana State Archives--into one agency, an Indiana Department of Heritage. A bill concerning this merger was introduced in the Indiana General Assembly this spring but did not become law. The Indiana Genealogical Society has now published an index to the 1890 soldiers enrollment list for Vermillion County. It has been added to the other indexes that are available for purchase in the Shop section of the IGS website. The soldiers enrollment lists enumerated the veterans of all past wars (including the Civil War) who were living in that county in 1890. If the veteran was deceased, the list included information on their widows and children. The Indiana Genealogical Society's indexes contain detailed information from these lists and are published on CD-ROM. IGS has compiled indexes for 65 counties thus far. The Hamilton County Genealogical Society will meet on Wednesday, November 4 at 7 pm at the Clay Township building in Carmel, near Home Place. The public is welcome. The society (formerly known as the North Indianapolis Area Genealogists) meets the first Wednesday of each month at 7 pm at the Clay Township building in Carmel. The Elwood Pipecreek Genealogy Society of Elwood, Madison County, Indiana will meet on Thursday, November 19 at 7:30 pm in the Elwood Public Library. The public is welcome to attend. The Hamilton East Public Library in Noblesville will host a roundtable in their genealogy classroom on Tuesday, November 10 from 2:15 to 3:15 pm. This month's roundtable will focus on access to public records. Come share your tales of woe as well as your stories of success in accessing public records in Indiana. For more information about the roundtable, please contact the library's Indiana Room--phone (317) 770-3206. Probate Records Work Session - Thanks! The Indiana Genealogical Society thanks all those who turned out yesterday for the work session on Hendricks County probate records at the Danville library. Volunteers came from as far away as Cincinnati and processed more than 175 cases. IGS hopes to schedule additional work sessions in 2010. These databases were compiled from the 1890 soldiers enrollment lists for the respective counties. They are premium databases, accessible only to IGS members. There are over 190 databases in the Members Only area. The Allen County Public Library in Fort Wayne will present a lecture, "Newspaper Searching with Ancestry's Historical Newspapers and Newspaper Archive," on Wednesday, November 11 at 2:30 pm in Meeting Room C of the library. As part of the library's WinterTech lecture series, Delia Cothrun-Bourne will discuss two of the online resources that the library's Genealogy Center offers for searching newspapers throughout the United States. To register, phone (260) 421-1225 or e-mail genealogy@acpl.info. The Indiana Genealogical Society has added the first few digital files of Hendricks County probate records to the County Records section of Members Only. The probate records for Hendricks County for 1824-1930 are being preserved and digitized by the Indiana Genealogical Society for the Records Preservation Project. NOTE: This database is in progress and more entries will be added over time. It is a free database, available to the public. This Saturday, October 17, the Indiana Genealogical Society will host an all-day work session at the Danville Public Library to work on Hendricks County probate records. This is for the society's Records Preservation Project, which is preserving and digitizing Hendricks County's probate packets for 1824-1930. At the work session volunteers will be unfolding and organizing the contents of the packets into folders. The session will be held from 9 am to 5 pm, but volunteers are welcome to drop in at any time and stay for as little or as long as they like. They can also bring a bag lunch or go out for lunch. Sign up through the Events Calendar on the library's website, or by contacting the library's Indiana Room--phone (317) 745-2604. This is a free database that was donated by Jim Cox and Penny L. North. The Indiana Genealogical Society now has over 190 databases in the Members Only area of its website. More databases will be added over time. I am searching for my grandfather, Francis Smith. His obituary in the Great Bend Tribune says he was born in LaPorte, Indiana on April 10, 1874. He worked as a carpenter, traveling the country, and came to Kansas where he helped build many of the houses in Ellinwood. He came to help my great-grandfather, Charles Rose, build his house at Raymond, KS. This is where he met my grandmother. They were married and had 3 children. I have found his record in 1930 at Raymond, Ks with my grandmother on the U.S. Federal Census. But other than that I can't find any real firm information on him. He died on June 21, 1934 at Raymond and was buried at the Lakin-Commanche Cemetery in Ellinwood, KS. His obituary says he had 2 brothers and 1 sister in Indiana. We were always told that he had changed his name, but my Mom and Grandma didn't say much otherwise. I had been doing some research on the Rose side of the family and took it out to my uncle. He gave me a picture of my grandpa Smith on a tractor and binder. That's the only picture we have of him. He also told me a story he recalled that Francis had changed his name (probably from Roberts or something like that) when he was 14. Something happened with his family and some farmland was given or sold to someone else, rather than to Francis and/or his brother(s). He then changed his name to Francis Smith and worked throughout the country as a carpenter. The 1930 Census says that the marriage in 1927 was his 1st. I've searched through many census records and can't find any Francis Smith/Roberts/Robert that is a carpenter and isn't married. We don't know his parents or siblings first names either. I have a copy of their Marriage Certificate from 1927, but that's all. Sometime, I want to go to Topeka to see if I can get a copy of the Death Certificate in case it may reveal a little more information. Please let me know if there's any place else I could search for information. Any help would be greatly appreciated. I am trying to trace a William Henry Horwell, who was born in England 29/9/1862 and died in Wolcott, White County, Indiana 22/4/1936. He married an unknown in Watseka, Iroquois County, Illinois. He had at least one son named Charles Henry Horwell, born 6/8/1893 in Piper City, Ford County, Illinois. By his date of birth and his marriage I know he emigrated to the United States sometime between 1862 and 1890. I know this is a large time frame but if anyone can help a confused Kiwi Boy it would be great. I am looking for confirmation of my great grandmother's parents. My great grandmother's name is Emma Leona Ward and was born in St. Joseph County (South Bend) Indiana on May 1, 1881. I believe her parents to be Lilly Smith and Nathan Ward, who married sometime in 1880 in St. Joseph County and divorced shortly after. I am unable to find a census to confirm their cohabitation and child. Lilly Smith later married a man named William Parker who immigrated to Canada in 1900. They are listed on the 1901 Canadian Census as living beside Emma and her husband. Any confirmation that Lilly Smith and Nathan Ward were actually her parents would be greatly appreciated!! My great great uncle James Butler married Mary Beatty October 15, 1885 in Richmond, Wayne County, Indiana. He was a widower, born in New York in 1857. His parents were from Ireland. In 1900 James and Mary were in Shelbyville, Shelby County, Indiana, and in 1910 and 1920 they were in Ward 13, Indianapolis, Marion County, Indiana. In the 1917 city directory for Indianapolis, Mary is listed as married, but James is not with them. We are not sure what happened. James' great-grandson and I would like to find out when he died (we think Indianapolis is likely) and how and what was going on. Any help or suggestions anyone could give would be wonderful. I am looking for old photographs of the elementary schools I attended from 1946-1954. They were Hartman & Martin public schools in Marrs Township, Posey County, Indiana. Please direct me to the appropriate resource. Thank you kindly. My dad was adopted in Marion County, Indiana around the time of his birth in 1920 and no one in the family knows much about his real birth mother and he never talked about what he might or might not have known. He died in 1991, so my question is how do I go about finding these records? Thanks. I would like to find out if there was a location, town, township etc in Indiana by the name of Runnels Station. I’m looking for information on Wilhelm Freiedrich Ohmie married Karaline Katharine Helene Bauch in Germany in 1883. They immigrated to the US and arrived February 6, 1884 at the Port of Baltimore. They settled in Gilo Township in Benton County, Indiana. Their first child was born May 2, 1894, Heinrich August Ohmie. They may have been tenant farmers. Wilhelm applied for Naturalization papers on October 13, 1886. They relocated in Remington in Jasper County prior to 1886. It is believed there was a child born that died in 1886 or 1887 because Maria Anna Ohmie was born April 9, 1888 and it was recorded as the 3rd child. Maria Anna was delivered by M. F. Reigle in Remington. The fourth child Johann Deitrich Ohmie was born Jan 23, 1880 in Remington. They may have been tenant farmers there also. It is believed they left the area around 1891 after the harvest. I have been given this information and need to know how to verify it with documentation. Or where and when the 2nd child was born, lived, died and buried. Can someone help me or guide me? Provide charges? I have a map that shows where the property was and itemized chattel mortgages applied for and what was held as collateral. was born in Jones County, Iowa in 1854. The last child, John Burk was also born in Jones County, Iowa in 1859. The following year, the Father, John Burk died in Feb. 1860. The Iowa Census stated that the parents were married in New York State. I do not know which ship they arrived on from Ireland. They were both Roman Catholic. Trinity Catholic Church- Jackson Co, Iowa. The Allen County Genealogical Society of Indiana will meet on Wednesday, November 11 at 7 pm in Meeting Room A of the Allen County Public Library in Fort Wayne. In honor of Veterans Day, Bill Crane, co-author of First Flag on the Summit, will present a program on the history of the 15th Indiana Civil War Regiment. The meeting is open to visitors as well as members and gathering time starts at 6:30 pm. The Tippecanoe County Area Genealogy Society (TIPCOA) will meet on Wednesday, November 11 at 7 pm at the Tippecanoe Arts Federation (638 North St., Lafayette IN). Peggy Reen will present a program about researching in Pennsylvania. The meeting is open to the public. The database includes the individual’s name, approximate year of birth and date of death (if known), and the names of the townships and counties with which the individual was associated. Women are cross-referenced under their maiden names. The database also includes links (when available) to newspaper articles and tombstone photos. This database is free and is being shared with the Indiana Genealogical Society and the Allen County Public Library's Genealogy Center. It will be updated as time permits. So far there are over 4,000 entries in the database. The Indiana Genealogical Society has now published an index to the 1890 soldiers enrollment list for Starke County. It has been added to the other indexes that are available for purchase in the Shop section of the IGS website. The soldiers enrollment lists enumerated the veterans of all past wars (including the Civil War) who were living in that county in 1890. If the veteran was deceased, the list included information on their widows and children. The Indiana Genealogical Society's indexes contain detailed information from these lists and are published on CD-ROM. IGS has compiled indexes for 64 counties thus far. The Indianapolis Star has an article in today's edition about the Indiana State Archives and a series of leaks it has experienced recently because of its roof. The article also details the lack of money allocated in the state budget for the State Archives, including the amount that would be needed to replace the roof. The Lebanon Public Library will hold a program, "Grandma, You Rock!" on Monday, October 26 from 10:30 am to noon in the library's Ralph W. Stark Heritage Center. Grandparents will do a "show and tell" for children of all ages, sharing stories and memories about the good old days. This program is free but registration is required--to register, phone (765) 482-3460 ext. 261. --Clergy of Indiana Diocese, Episcopal Church (1838-1888)--a listing of Episcopal clergy as found in an annual journal. --Faculty of Muncie Normal Institute, Muncie (1915)--a listing of teachers as found in a school yearbook. This database includes photos of the teachers. Muncie Normal Institute later became Ball State University. --Indianapolis Water Company Employees Serving In World War II (1940-1945)--information extracted from issues of an employee newsletter. These are all premium databases, accessible only to IGS members. The Indiana Genealogical Society now has over 185 databases in the Members Only area of its website. More databases will be added over time.